Suman was one of the highest-ranking Civil War veterans with region ties. Suman was shot but survived during the Battle of Stones River in 1862, a "minie ball," or rounded bullet, passing through his body, according to his obituary. The conflict, near Murfreesboro, Tenn., ended in Union victory. Fighting on ground held by Suman&apos;s regiment was so fierce it became known as "Hell&apos;s Half Acre." Following the battle, Suman and another colonel, William Hazen, arranged for the building of monument in Murfreesboro to honor the fallen soldiers there. Hazen&apos;s Monument, as it is now known, is believed to be the oldest standing Civil War monument. Men of Hazen&apos;s Ohio brigade built the monument under the supervision of an officer from Suman&apos;s regiment. Suman was honored with a promotion to brigadier general in March 1865, about a month before the war effectively ended, but he declined the rank. 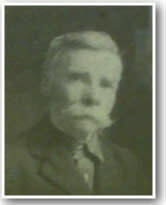 Following the war, he returned to life as a prominent region citizen, serving for a time as mayor of Valparaiso. Captain Brewer was the early leader of Company C, volunteering to fight in the 99th Infantry in 1862. Already in his 40s at the time of his service, the captain was considerably older than many of the men who volunteered to fight for the Union cause. His age and the rigors of marching and war would catch up to him a year after enlistment, and Brewer would leave the regiment on disability. Ironically, Brewer&apos;s son Winfield was one of the youngest region males to volunteer. The captain is among 11 Civil War veterans who received new granite headstones in 2011 through the efforts of the Calumet Region Civil War Preservation Project, honoring the war&apos;s 150th anniversary. A lifelong resident of Valparaiso, Brewer enlisted as a drummer for his regiment at the age of 14, serving from 1862 until the war&apos;s end in 1865. 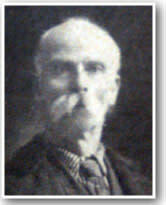 His father, Jacob Brewer, served as captain in the same regiment. After the war, Winfield Brewer worked for a time as a traveling drummer for the P.T. Barnum Circus band. In September 1909, following a reunion of the 99th Indiana, Brewer fell 40 feet from the Nickel Plate railroad bridge in Hobart. His obituary indicates he ultimately died from the injuries he sustained from the fall in December of that year. Winfield&apos;s drum remains on display in the Civil War room at the Valparaiso Museum of History in the city&apos;s downtown area. Though memorialized with a headstone in a special Civil War veteran&apos;s plot of the cemetery, it is believed Winfield actually is buried directly next to his father Jacob. 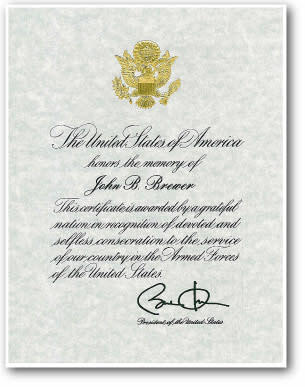 John Brewer also was a son of Capt. 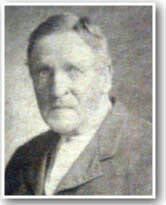 Jacob Brewer, though John fought in a separate regiment from his father and brother. John Brewer is among the 11 men whose graves received new granite headstones in 2011 through the efforts of the Calumet Region Civil War Preservation Project. He is buried directly west of the graves of his father and brother. Sixteen men are either buried or memorialized in a special Grand Army of the Republic (G.A.R.) plot at Valparaiso&apos;s Maplewood Cemetery. The G.A.R. was a nationwide fraternal organization established after the Civil War for the many surviving soldiers and sailors of the Union Army. This burial plot was established by Porter County-based G.A.R. 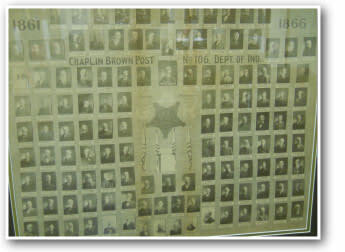 Post 106, also known at the Chaplain Brown Post, so named for a Union Army chaplain from Valparaiso who died of typhoid fever in Kentucky in 1862. The men of Post 106 met at Memorial Hall in downtown Valparaiso, an opera house that still stands today in honor of Civil War soldiers and sailors. 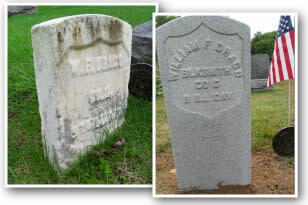 In 2005, the Sons of Union Veterans of the Civil War, an organization made up of Civil War descendants, obtained new granite headstones for all graves in the G.A.R. plot in Valparaiso. Decker is among several men memorialized in a special Grand Army of the Republic (G.A.R.) burial plot at Valparaiso&apos;s Maplewood Cemetery. Enrolling in the 128th in Valparaiso at the age of 18 in 1863, Kelly made corporal two years later and served in the army until April 10, 1866, a year and one day after the war effectively ended. Though he served with a New York regiment, Hunt lived in Valparaiso in the years following the Civil War. He worked as a laborer, laying plaster for walls and moldings. 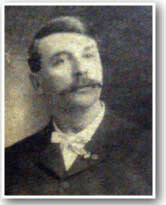 Hunt died in 1898, reportedly after falling from the staircase outside his second story apartment at the intersection of Main and Michigan streets. Indiana muster records indicate Robinson joined the 15th Indiana on June 14, 1861, but then deserted his post on Dec. 13 of that year near New Haven. 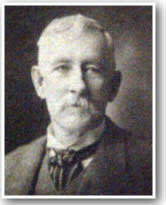 Despite this recorded blemish on his military record, Robinson was buried with military honors following his 1915 death. Collins is one of the only known Union Navy veterans buried in the Calumet Region. He served aboard the 100-man crew of the USS Colorado during the Civil War. The ship, powered by sails as well as a steam-driven screw propeller, participated in naval blockades and sunk an important Confederate supply boat, the schooner Judah, in 1861. Webb enlisted with the cavalry unit at the age of 18 on Aug. 9, 1862, but earned an honorable discharge after receiving wounds in a January 1863 battle at Arkansas Post, Ark. During the three-day battle, Union troops captured a Confederate fort that had been disrupting Union supply shipments running up the Mississippi River. Carr enlisted in the Union Army in 1861, shortly after the war began. His company was made up largely of men from Valparaiso, but the 20th Indiana Infantry contained companies of men from all over the state. He served almost for the war&apos;s entirety but was discharged on March 20, 1865, for disloyalty and conduct unbecoming an officer, according to Indiana muster records. Though commonly referred to as Colonel DeMotte after the war, military service records indicate he served as a first lieutenant with his Indiana artillery unit during the war. The records make no mention of a colonel rank, which may have been his honorary rank in the Grand Army of the Republic fraternal organization. DeMotte became a prominent Porter County citizen following the war, founding and serving as the first dean of what would become the Valparaiso University School of Law. A farmer by trade and a native of Shelby County, Ferris enlisted in the 73rd Indiana in Michigan City in August 1862. A bursting shell on the battlefield at Day&apos;s Gap, Ala., tore off one of Ferris&apos; arms and left his other hand badly wounded, according to his 1912 obituary. Ferris reportedly was captured and treated by Confederate troops following the battle and was later returned to the Union Army through a prisoner exchange. More than 80 men were killed or wounded in the skirmishing as Day&apos;s Gap as the Union sought to cut Confederate railroad supply lines. Before his death, Ferris lived on Jefferson Street in Valparaiso, collecting a government pension of $72 per month for his war service. As a farrier, Jones would have been responsible for the shoeing of all horses and mules in his cavalry unit. Jones&apos; regiment was formed during the last year of the Civil War. Disease claimed 66 men of the regiment. Jones also served in the 138th Indiana Infantry in 1864, guarding railroad lines for the Union. As an artificer for his Ohio artillery unit, Jones would have been responsible for caring for the metal works of the cannons and heavy guns. Artillery artificers were essentially blacksmiths, who often did most of their work during lulls in fighting and during winter encampment. Cannons that Jones would have worked on were used during the siege at Vicksburg between May 18 and July 4 of 1863. Hailed as a major union victory, the siege helped garner control of shipping on the Mississippi River and boosted the reputation of the siege&apos;s leader, then Major Gen. Ulysses S. Grant, who would go on to command the entire Union Army by war&apos;s end. Budd survived the war and returned to Valparaiso, which was his home for more than 50 years. Budd suffered a stroke in a Valparaiso barber shop in May 1920 and died shortly thereafter. For a time, Budd owned a Valparaiso jewelry store but became a clock and watch repairman after a fire destroyed his jewelry business. Though he began his military service in 1861 with the 9th Indiana in LaPorte and served with that group for most of the war, Vanatter transferred to the 1st Ohio Artillery on Aug. 1, 1864. Vanatter kept a diary between November 1863 and September 1864, with entries ranging from accounts of mundane travel and marches to the loss of more than 2,000 fellow soldiers in one day&apos;s fighting in 1863. The actual diary is on display in the Civil War room of the Valparaiso Museum of History in the city&apos;s downtown. Warner is among 11 men at Valparaiso&apos;s Maplewood Cemetery whose graves received new granite headstones in 2011 through the efforts of the Calumet Region Civil War Preservation Project. Wolgamot is among 11 men at Valparaiso&apos;s Maplewood Cemetery whose graves received new granite headstones in 2011 through the efforts of the Calumet Region Civil War Preservation Project. 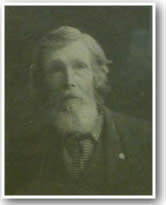 Like many men buried at the cemetery, John Flint belonged to the Grand Army of the Republic Post 106 in Valparaiso after the war, and his picture appears in a group photo of the post in the genealogy room of the Valparaiso Public Library. Flint is among 11 men at Valparaiso&apos;s Maplewood Cemetery whose graves received new granite headstones in 2011 through the efforts of the Calumet Region Civil War Preservation Project. 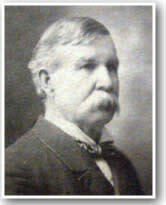 Durrell was a member of an elite Illinois-based rifle company raised by a wealthy grain merchant to aid the Union cause. The Sturges Rifles were a favorite unit of Gen. George McClellan, the early commander of the Union Army. The unit served as personal guards for the general. Durrell is among 11 men at Valparaiso&apos;s Maplewood Cemetery whose graves received new granite headstones in 2011 through the efforts of the Calumet Region Civil War Preservation Project. Pvt. 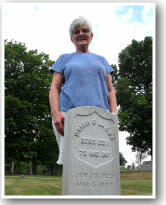 Adkins received a new government-issued headstone in November 2011 through the efforts of the Calumet Region Civil War Preservation Project. 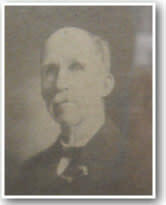 His photo is displayed on a Grand Army of the Republic poster at the Valparaiso Public Library&apos;s Genealogy Room. Adkins&apos; regiment saw action in the Civil War&apos;s western theater – largely in Kentucky, Tennessee and Mississippi -- including at the major Battle of Chickamauga, which ranks as the bloodiest two-day battle of the war. At that battle&apos;s end on September 20, 1863, more than 35,000 of the 120,000 men who fought in the battle were killed, wounded or missing in action, according to battle records. The fight ended in a Confederate victory. Spaeth is among 11 men at Valparaiso&apos;s Maplewood Cemetery whose graves received new granite headstones in 2011 through the efforts of the Calumet Region Civil War Preservation Project. Elder served for a specialized fighting unit that often manned naval gun boats during the Civil War. He is among 11 men at Valparaiso&apos;s Maplewood Cemetery whose graves received new granite headstones in 2011 through the efforts of the Calumet Region Civil War Preservation Project. Smith is among 11 men at Valparaiso&apos;s Maplewood Cemetery whose graves received new granite headstones in 2011 through the efforts of the Calumet Region Civil War Preservation Project. Kitchen is among 11 men at Valparaiso&apos;s Maplewood Cemetery whose graves received new granite headstones in 2011 through the efforts of the Calumet Region Civil War Preservation Project. Photo: Pat Lane, of Valparaiso, was present for the installation of new headstone for her great-great grandfather, Civil War Sgt. Uriah Jaqua, in July 2012. Uriah Jaqua is among 19 Civil War veterans buried at Maplewood who received a new granite headstone through efforts of the Calumet Region Civil War Preservation Project. Jaqua’s old government-issued marble headstone was broken and missing about two-thirds of its mass. The inscription also was worn. Jaqua’s great-great granddaughter, Pat Lane, of Valparaiso, was present during the installation of his new marker in July 2012. Jaqua was believed to have been a farmer by trade and lived in Lowell, Indiana, at the time of his enlistment. Ritz served in Company H of the 9th Indiana Infantry under Col. Isaac Suman, who also is buried at Maplewood Cemetery. During the war, the 9th Indiana Infantry was referred to throughout the Union Army of the west as the "Bloody Ninth" because of the frontline, brutal fighting experienced by the regiment. The 9th Indiana Infantry fought in the lion&apos;s share of the major battles of the western theater, including Shiloh, Stones River, Chickamauga, Chattanooga and the Battle of Nashville.